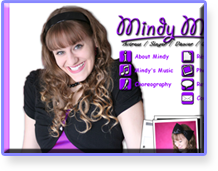 Here are just a few examples of my HTML websites created entirely from scratch. Built the full site with backend admin. 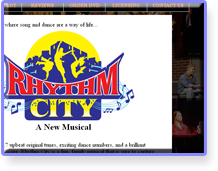 Site has had as many as 10,000 visitors in a single day. 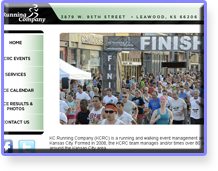 The site allows users to submit races, administrators can approve and edit races, show results and photos. I worked on nearly all of the jQuery for this; lots of moving parts—and notice the fact that the forward/back buttons animate the content without any page refresh. My family website with database-driven quotes, images, etc. Also dynamic image enlargement. 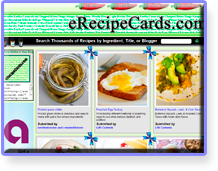 Users can submit recipes, make collections of favorite recipes, search recipes, and even send their friends and family a custom “cookbook” of all the recipes they know (no other website that we know of has this capability). Also, the owner has received over 1 Million clicks on his ads. 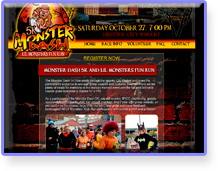 This site features videos, jQuery photo slideshows, and paypal integration with order form. This is a PHP- and MySQL-driven Flash slideshow with jQuery side menu—client can simply transfer images from his PhotoShelter account to create a new slideshow for other real-estate agents.